I’ve just reached my summer break! I have some time off from school to relax and…. organize! 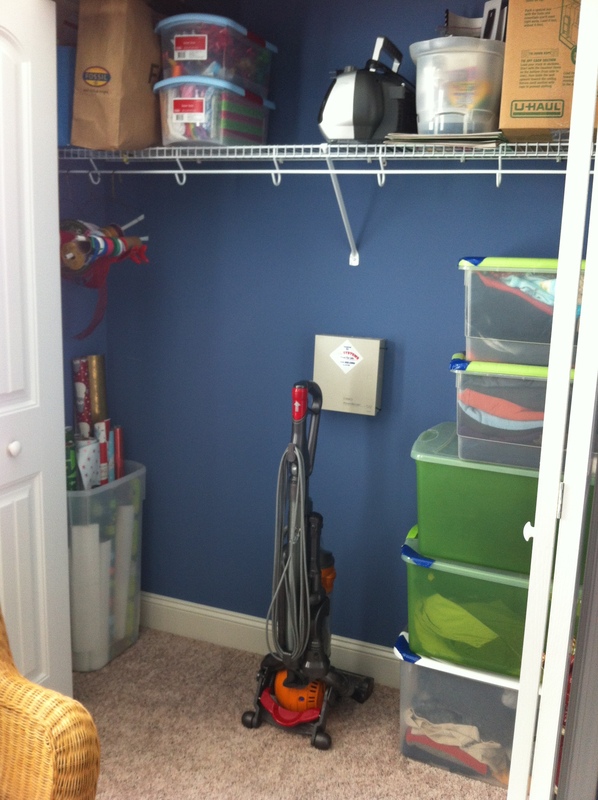 My goal is to go room by room in the house and clean out and organize. I’ve already got the back of my car full of stuff to take to Goodwill and just as much has been thrown in the trash. I’ve only made it to two rooms, haha. But, they were the worst closets of the house, by far. 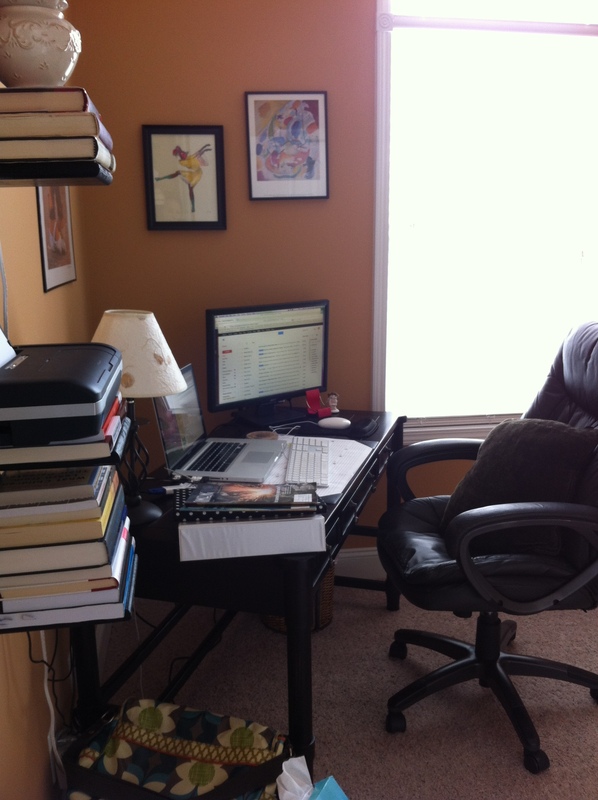 One room is my office/guest room. My sister-in-law was staying with us for the first half of the summer, so I had moved my desk out to help give her more space and me space to work without us being on top of one another. So, since she has moved out and I have some free time, I went through everything in the closet and re-set up my desk/office space in that room. Especially since I have no real office space for either of my part-time jobs now… my house is my official work address. The difficult part is that I have a ton of books that I want to keep as resources for myself as a counselor or for future clients. So, they are all stored in boxes for the moment… piled up oh so nicely in my newly organized closet. It doesn’t quite match all the pretty pics online of organized closets with the perfect shelving and cubbies and baskets, but hey, I know everything that’s in there and was able to make-do with what I had. And, at least there is space now for a guest to hang up some clothes. The blue room is where I had moved my desk, but it was cramping space for working out. 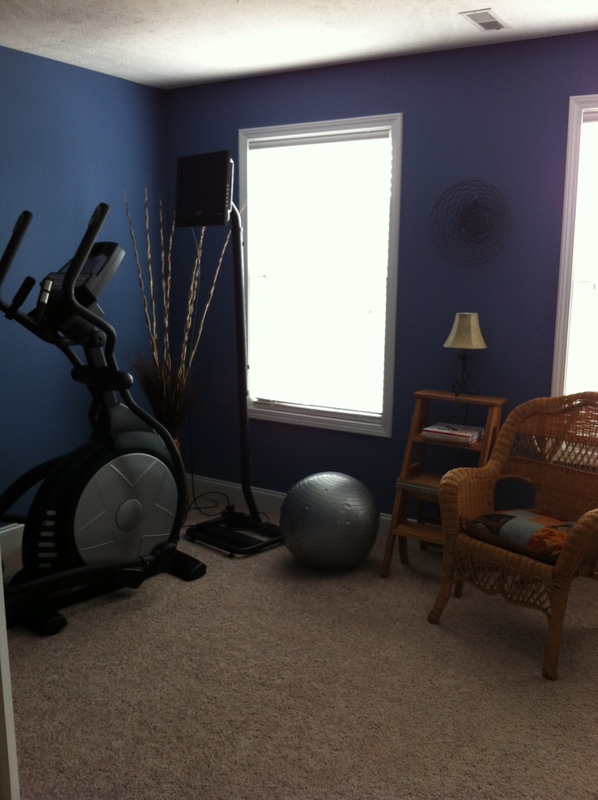 And, what a great, calming color of a room to do what I dislike most (sweating), haha! 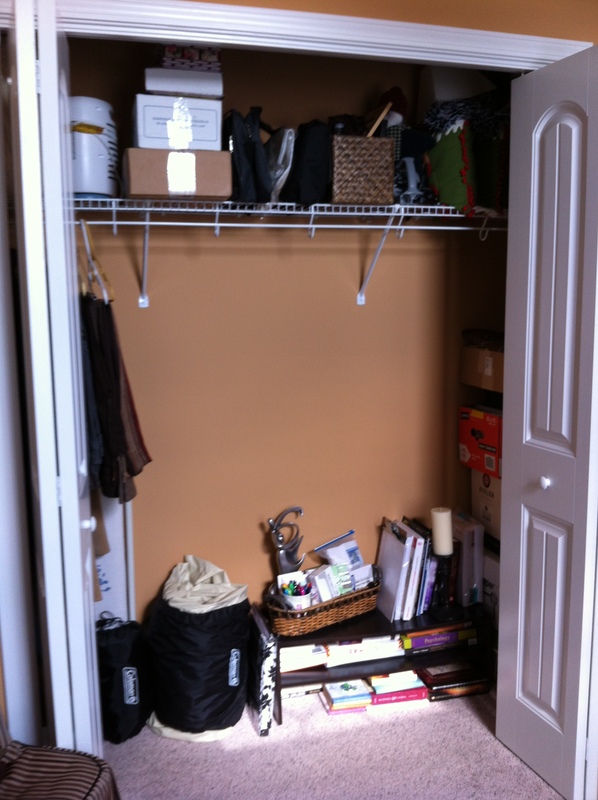 It’s now re-arranged and looks better and the closet is a HUGE transformation. I’m one of those people who saves every box and gift bag and bow… just in case it’s needed in the future for something I want to give. Especially for Christmas! Why buy all that stuff when you can already have and re-use it? But, it does become quite bulky. So, I consolidated all the wrapping paper and made a box for tissue paper and a box for bows and a big bag of bags… and the boxes were all broken down to take up much less space. Sorry for no before picture, but I was way to eager to get started cleaning to stop for a photo op. Just imagine all sizes of boxes and bags and junk thrown everywhere. My brother-in-law is still living with us through early August sometime. I told him that this is the best time to be living with me! I did his laundry over the weekend and even made him an omelet for breakfast on Saturday after Tony and I had already finished breakfast. Maybe I’m weird, but this is the stuff I love to do – cook, clean and organize. My guest bedroom is the catch all right now. We were supposed to have all sorts of family come visit this summer, but they all canceled so I never had an excuse to organize that room. Maybe you should come visit on your summer break and organize with me!!! Now there’s an idea. LOVE YOU!